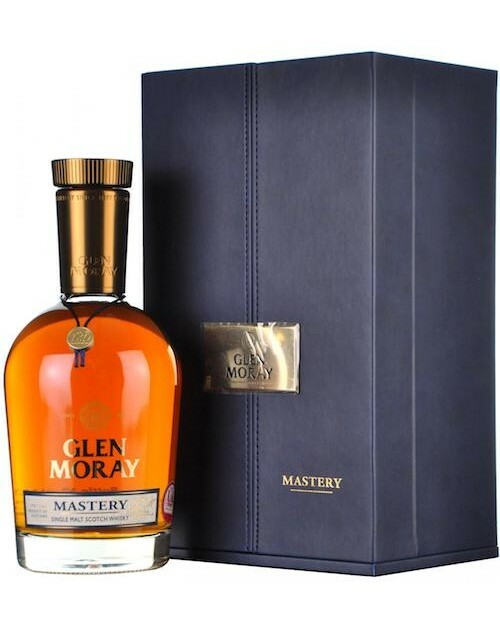 Glen Moray Mastery Single Malt Whisky has been created to celebrate the distillery's 120th anniversary. No less than five of the distillery's vintages were used to make this delightful whisky. Sherry, Port and Madeira casks were used by Master Distiller Graham Coull during the maturation process. Only 1,000 bottles were filled. Nose: Port and Sherry on the nose. Palate: Lovely - layered and complex. The various notes from the casks used for maturation ebb and flow on the palate.